Are you looking to save money on your electric bills-especially when it comes to heating your home? Since electric heating options range in complexity, read below for answers to your questions about the efficiency and cost savings of the different types of electric heating systems. 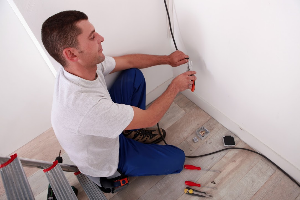 If you have any other questions, get in touch with an electrical contractor. If your home isn’t connected to a central heating system, baseboard electric heaters-which generally are installed in each room in the home-require no duct work. Although 220-volt baseboard heaters are inexpensive to buy, they can be costly to operate. However, hardwired electric baseboard heating units cost less to operate than an electric furnace, but they need line-voltage thermostats to control the temperature. Line voltage thermostats are commonly used to power hard-wired baseboard heaters, but both the baseboard units and thermostats should be installed by a qualified electrician. Additionally, with baseboard heaters, you can have zoned heating that can save you up to 20 percent in energy. 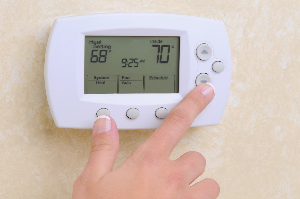 Since you are heating individual rooms in your home-which are controlled by separate thermostats-you have the option of heating only rooms that are occupied. Zone heating is most effective when the zones operate independently and are separated from other rooms by a wall and door. When you notice water dripping out of your electrical panel box, your first reaction is to panic. Water and electricity make for a dangerous combination, and although signs of moisture aren’t something you want to see, water getting into the electrical panel box is a common problem homeowner face. But it isn’t a problem you should try to fix yourself. Call an expert electrical technician to determine the extent of the damage and recommend the necessary repairs. electrical system to keep your home comfortable, safe, and well-lit. When making an electrical change or trying to identify the source of an electrical issue, your first step may be to schedule an inspection. 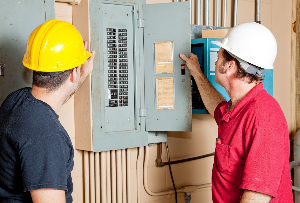 In this blog, we list some of the most common reasons to have a residential electrical inspection and what you can expect from the inspection process. Imagine a long, errand-packed day. You have to drive down to Denver and back. You have to get groceries. You have to pick up your kids from school. As you pull into your driveway, you realize your car needs fuel. But, instead of backing out and heading to the closest gas station, you plug your electric vehicle into a home charging station, go inside, and enjoy some well-earned relaxation. Electric vehicles (EV) and plug-in hybrid vehicles (PHEV) have many benefits, home charging stations among them. You rely on a variety of lighting fixtures to keep your home beautiful and useable when it’s dark outside. However, many homeowners fail to account for their light fixtures when thinking about potential electrical problems. Some property owners mistakenly believe that changing light bulbs when necessary is enough maintenance to ensure their light fixtures stay safe. According to the U.S. Fire Administration (USFA), there are 28,600 electrical fires per year. These fires cause $1.1 billion in property damage and loss and are responsible for 310 deaths and 1,100 injuries each year. It’s time to switch out your old bulbs for new, energy-efficient LEDs or CFLs. And take advantage of the savings, while they last. Right now, Xcel Energy is partnering with participating retailers to offer special discounts. Save up to $5 on select models of LEDs, or buy CFLs for as little as $1 per bulb.